Watercolour; signed. 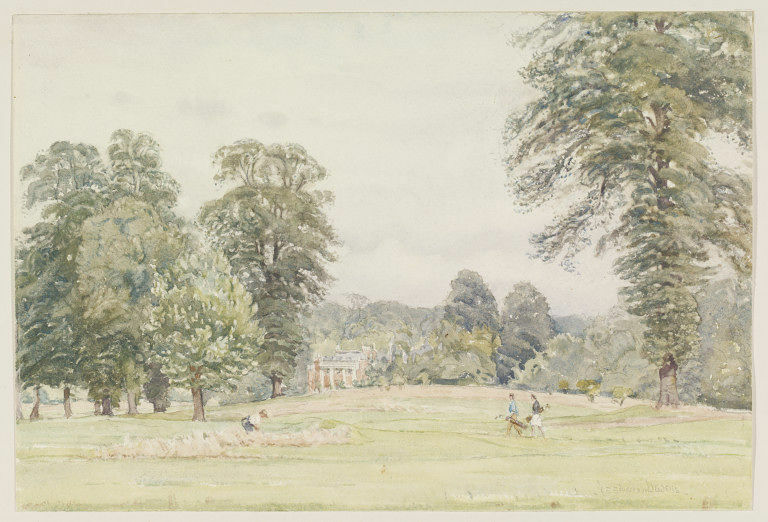 View of the golf course in Sudbrook Park; the clubhouse, an 18th-century mansion, can be glimpsed through the trees. 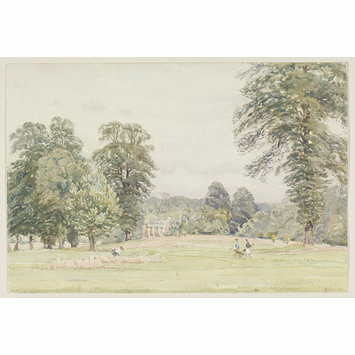 Richmond Golf Club, Sudbrook Park (Recording Britain, Surrey).